The second part of this article focuses on the methodologies employed to quantify the economic damages when a fiduciary breach is claimed. In the first part of this two-part article, the author discussed how a breach of fiduciary duty claim may arise and how counsel and expert should work together. The first article also set forth the underlying facts that are employed to calculate damages under the various methodologies. There are several generally accepted methods to measure economic damages in a trustee breach of fiduciary duty tort claim. While the application of these methods is more commonly used to quantify lost profits economic damages for business operations, they can also be tailored to effectively analyze and quantify investment management economic damages as a result of a trustee breach of fiduciary duty. The underlying theory of lost profits damages, as it relates to business operations, is that “but-for” the actions of the defendant (or but-for the damaging event) the plaintiff would have experienced a higher level of revenue and profits. Considering the example presented in the previous section, this method can be applied to trustee breach of fiduciary duty tort claims where, but-for the actions of the trustee, the beneficiary would have experienced (received) an appropriate level of trust distributions. As mentioned, while initially constructed to analyze lost profits and lost revenue for business operations, the above methods, in addition to the Projection Method, may be used to quantify economic damages attributable to trustee breach of fiduciary duty. Many damages analysts refer to the Before-and-After Method as the “Book Ends” Method. This reference is because this damages measurement method uses historical financial information (before and after the damaging act) as proxies to quantify what would have happened during the wrongful act time. To correctly apply the Before-and-After Method, the damages analyst should identify and quantify any other factors that may have affected profitability or revenue during the damages period, as well as before and after the damages period (i.e., the book ends period). For example, if the damages analyst is attempting to quantify damages for a real estate development company over a 2009 to 2010 damages period, the effects of the industry performance, as well as the performance of the regional, national, and global economy, should also be considered in measuring damages attributable to the wrongful act. One component of the Yardstick Method is for the damages analyst to identify guideline companies (namely guideline publicly traded companies) that are reasonably comparable to the subject business. The damages analyst should also appropriately consider any changes, other than the wrongful act, that may have affected the subject company performance over the damages period (such as changes in management, changes in product design, unrelated litigation, etc.). While this method is sometimes applied in patent infringement matters, it may be applied in other damages scenarios, if appropriate data are available. As mentioned above, each of these methods can be tailored to measure trustee breach of fiduciary duty economic damages. For purposes of the following illustrative example, it is more appropriate to apply the Projection Method. Based, in part, on the court’s view that the Projection Method is generally reliable, it is a common method used to estimate commercial economic damages. And, the Projection Method can be easily tailored to quantify other damages, such as trustee breach of fiduciary duty economic damages. The following illustrative example presents the application of the projection method in measuring economic damages attributable to a trustee breach of fiduciary duty. The beneficiaries are two 20-year-olds who are unable to work. The two 20-year-old beneficiaries are required to receive an annual $100,000 (in aggregate) distribution from the trust. The term of the trust was 50 years. A further goal of the trust was to ensure that the two million dollar principal balance is available for the beneficiaries at the end of the 50-year term. The trust was initially invested in dividend-paying common stocks. The trustee, upon appointment, sold all of the dividend-paying common stocks and subsequently invested the entire proceeds in non-dividend-paying, growth-oriented common stocks. The trust was unable to distribute the required $100,000 in each year over the three years after the trustee appointment. Subtracting all income generated by the “new” trust portfolio investments (initiated by the trustee) over the three years after the trustee appointment. The annual difference between the income generated by the “standstill” trust portfolio of assets and the income generated by the “new” trust portfolio assets would represent the damages attributable to the trustee breach of fiduciary duty. For purposes of the example, let’s also assume that the three-year damages period is January 1, 2013, through January 1, 2016. Further, let’s assume that the trust assets prior to the appointment of the trustee were investments in the common stock of (1) Ford and (2) AT&T. Finally, let’s assume that the investments made by the trustee (i.e., the new trust portfolio assets) resulted in zero dividends/income over the three-year damages period. Based on these assumptions, the measurement of the trustee breach of fiduciary duty economic damages is summarized below. The initial purchase amount for each dividend-paying stock was one million dollars. The initial share prices of Ford and AT&T on January 1, 2013, were $15 per share and $35 per share, respectively. The annual dividend per share for Ford and AT&T was one dollar and two dollars, respectively. Based on the application of the projection method, as presented in Exhibit 1, the trustee breach of fiduciary duty economic damages are measured at $371,429. This simplified example is one of the many ways the Projection Method can be applied to measure economic damages based on a trustee breach of fiduciary duty. This discussion presented an overview of investment management trustee fiduciary duties including how and when a damages analyst can be utilized to measure potential economic damages as a result of a trustee breach of fiduciary duty. Assist with reviewing and critiquing other valuation analyst’s work that may be transmitted during the engagement. The Sales Projection Method may be the most common method to measure economic damages. 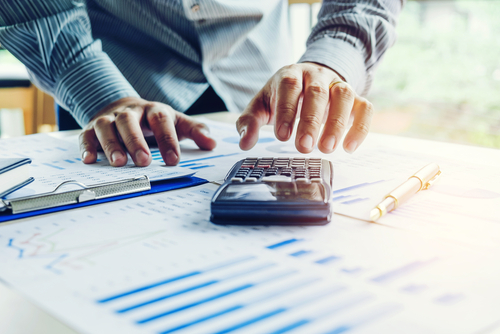 However, with appropriate considerations, all four measurement methods may be tailored to measure potential economic damages because of a trustee breach of fiduciary duty. This article was previously published in Willamette Insights, Spring 2018. Nancy J. Fannon and Jonathan M. Dunitz, The Comprehensive Guide to Lost Profits and Other Commercial Damages (Portland, OR: Business Valuation Resources, 2014), 219. Justin Nielsen is a vice president in our Portland, Oregon, practice office. Mr. Nielsen holds an MBA, with a concentration in finance, and is a certified valuation analyst (through the National Association of Certified Valuators and Analysts). He specializes in providing valuation and consulting services related to divorce and shareholder dissent/oppression matters, gift and estate tax, employee stock ownership plans (ESOP’s), lost profits and economic damages, and intangible assets. Mr. Nielsen can be contacted at (503) 243-7515 or by e-mail to jmnielsen@willamette.com.